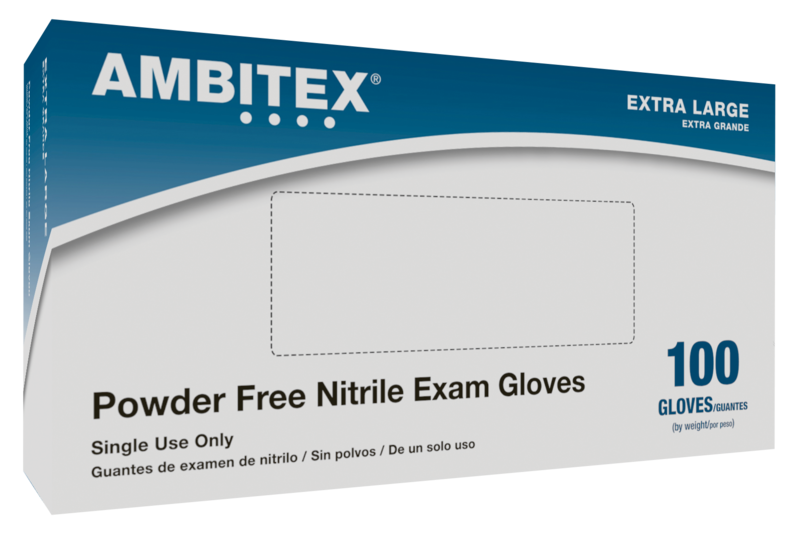 The Ambitex Nitrile Select Exam Gloves are bestseller nitrile gloves, combining affordability with high protection and functionality. Designed by Ambitex, a leader in medical glove production, these textured exam gloves are ideal for anyone looking for high quality disposable gloves. Protection: These nitrile gloves by Ambitex offer exception chemical protection, as well as high virus protection. They meet or exceed ASTM and FDA examination glove standards, pass ASTM F1671 test standards for resistance to blood borne pathogen penetration, and complies with 21 CFR parts 170 – 199 for food contact. In other words, if you’re looking for high-end protection, these gloves are perfect for you. Comfort: Latex-free and powder-free, these nitrile exam gloves take great care of your hands while you care for others. They’re lightweight, so they help reduce hand fatigue and provide improved dexterity. In addition, these gloves are designed with a stretchy feel that closely resembles the flexibility of latex gloves. Durability: These Ambitex gloves are strong and made to be puncture-resistant so you don’t have to worry about constantly replacing your gloves or exposing your skin to contamination. Convenience: With a fully textured surface, these latex-free gloves provide excellent grip for detailed work. Go ahead; choose Ambitex Select for a high-end glove with a low-end price tag - you'll be glad you did!